UFC lightweight champion Khabib Nurmagomedov has looked unstoppable in his mixed martial arts (MMA) career. The Russian is currently undefeated after 27 professional fights. He recently defeated Conor McGregor via fourth-round submission in October. It was the first title defense of his career. However, after his post-fight brawl with Team McGregor, Khabib must await punishment from the Nevada State Athletic Commission (NSAC) before being booked again. “As of what I understand right now, there is no 165 [pound division],” Zahabi said. “It’s a ‘maybe’ from what I understand. It’s a rumor I should say, and if that happens I think it could be very interesting for Georges. I’m hoping that rumor is true. 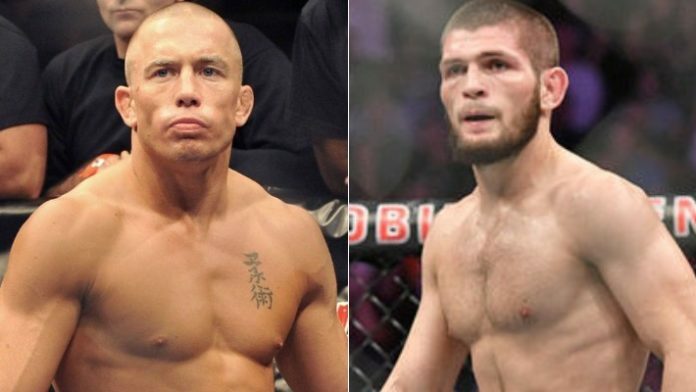 What do you think of a potential fight between “GSP” and Khabib at 165 pounds?